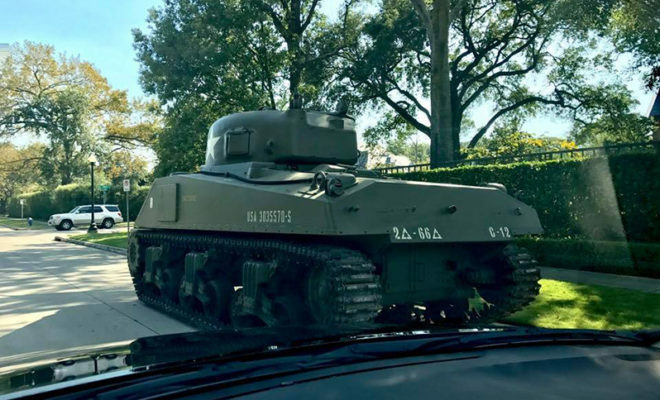 “He told me he will move his tank only when he is ready to move his tank,” the KHOU news reporter said in a video report after speaking to Houston, Texas attorney Tony Buzbee about the World War II tank he keeps parked along River Oaks Boulevard in a wealthy area of Houston. The HOA worries about the traffic and safety issues of having the huge tank on a residential street. 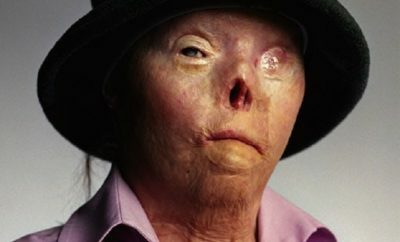 Buzbee says he respects the history of the tank, especially since he was a Marine and his grandfather served in World War II, and he wants others to marvel at it. This huge piece of history was first used in Normandy, went on to liberate Paris, and then headed to Berlin. Buzbee also proudly showed off the tank on a FOX 26 news story, posted to the YouTube TheHoustonFactor channel, where he said, “As a child you played Army, you had a little Tonka tank, and you run over trucks, you know, when I found out it was coming up for auction I told one of my guys, ‘Let’s get that tank it’d be really cool out at my ranch to blow things up and run over things. '” Buzbee says he will eventually move the tank to his ranch, but for now, there’s nothing the HOA can do, other than giving him tickets.